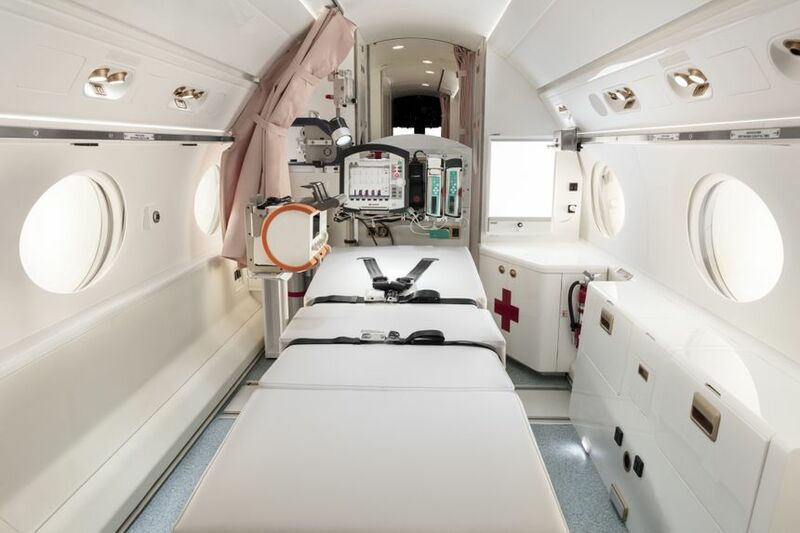 SAVANNAH, Georgia, July 25, 2018 — Gulfstream Aerospace Corp. today announced it has designed and delivered a state-of-the-art Gulfstream G550 medevac aircraft that will revolutionize in-flight medical care. 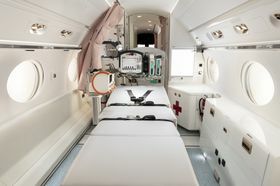 The modified G550 was delivered to the Beijing Red Cross Emergency Medical Center during a delivery ceremony at Gulfstream’s headquarters in Savannah. 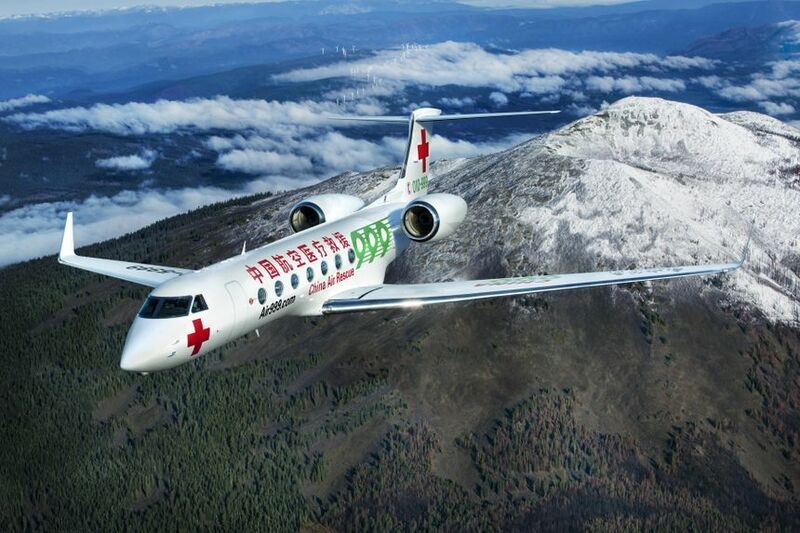 Gulfstream President Mark Burns and Beijing Red Cross Emergency Medical Center Director Li Libing revealed the new aircraft, as well as the center’s interest in adding a Gulfstream G650ER to its fleet for the same mission. Since the G550’s debut, Gulfstream has continually invested in the aircraft to ensure it remains ahead of evolving customer needs. It is the most reliable aircraft in its class and can fly nonstop from Beijing to New York or London. More than 560 G550 aircraft are in service worldwide. The flagship G650ER is the fastest large-cabin, non-supersonic aircraft to fly around the world. With up to 7,500 nautical miles/13,890 kilometers of range at Mach 0.85, the G650ER, along with the G650, has established more than 70 speed records. Today, more than 300 G650ER and G650 aircraft are in service worldwide. 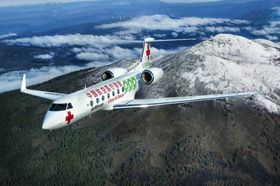 “With the G650ER’s speed and range, medical care will arrive faster,” Burns said. Gulfstream continues to be a premier provider of aircraft supporting medical transport around the world. 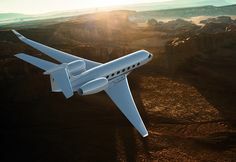 To learn more about Gulfstream Special Missions, please visit www.gulfstream.com/special-missions. Gulfstream Aerospace Corporation, a wholly owned subsidiary of General Dynamics (NYSE: GD), designs, develops, manufactures, markets, services and supports the world’s most technologically advanced business-jet aircraft. Gulfstream has produced more than 2,800 aircraft for customers around the world since 1958. To meet the diverse transportation needs of the future, Gulfstream offers a comprehensive fleet of aircraft, comprising the Gulfstream G280TM, the Gulfstream G550TM, the Gulfstream G500TM, the Gulfstream G600TM, the Gulfstream G650TM and the Gulfstream G650ERTM. We invite you to visit our website for more information and photos at www.gulfstreamnews.com. More information about General Dynamics is available at www.generaldynamics.com. © 2019 Gulfstream Aerospace Corporation. All rights reserved. Gulfstream Aerospace Corporation, a wholly owned subsidiary of General Dynamics (NYSE: GD), designs, develops, manufactures, markets, services and supports the world`s most technologically-advanced business jet aircraft.